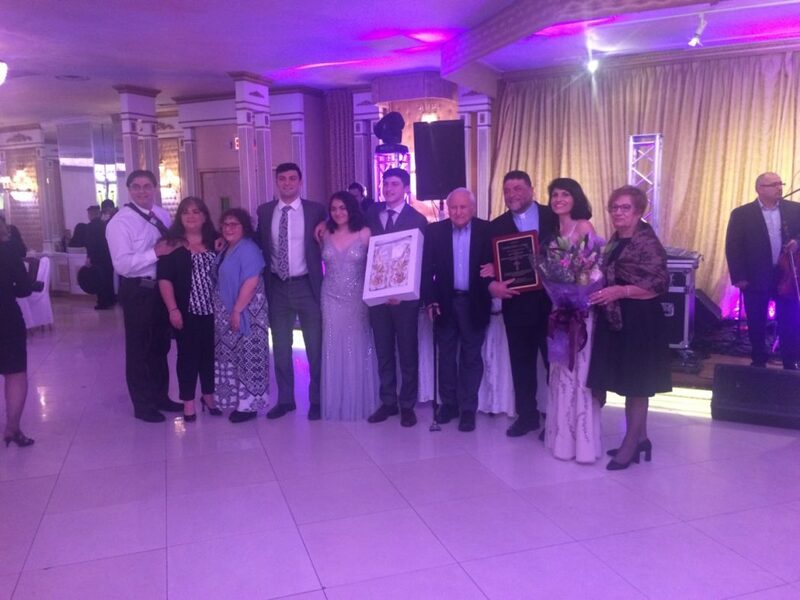 On November 9, 2018 the annual Archangel Michael Church Name Day Gala was held at Leonard’s Palazzo in Great Neck, NY. This year the community had the pleasure of honoring Fr. John K. Lardas for his 25 years in the service of our Lord. In attendance were over 300 people including family members, clergy and friends from previous parishes that Fr. John served, and those who traveled this past summer to Jerusalem with Fr. John and Presvetera Eleni. Nicholas Papain, president of the AMC Community, served as master of ceremonies and presented Fr. John with a plaque along with a beautiful set of vestments from Greece to express our gratitude for his service to our community. Basil Lardas, speaking on behalf of his siblings, Maria and Kemon offered a wonderful perspective of their father. This was followed by both a moving and often entertaining clerical reflection from the V. Rev Fr. Eugene Pappas. Fr. John then spoke beautifully to all who came to honor him. The 28 GOYANS in attendance then started the night off by dancing with Fr. John and his family in a traditional kalamatiano. In no time at all, with music provided by Asteri, the dance floor was filled with the many attendees of this wonderful event. Special thanks to co-chairs Eleni Germanakos and Helen Maropakis for organizing this memorable evening.